Care & Repair is a service that helps to keep people living in their own homes in increased safety and comfort. 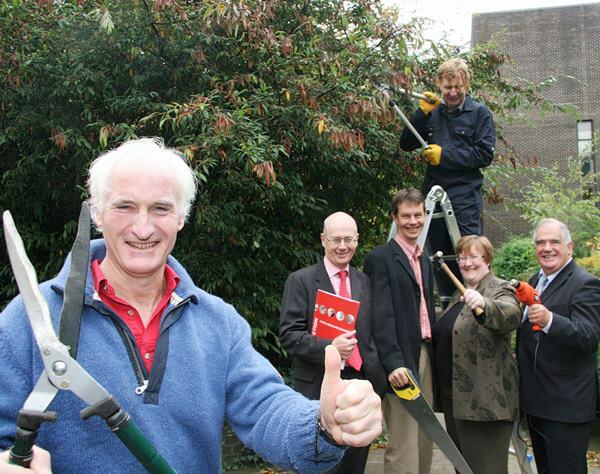 The service uses trustworthy volunteers to carry out small DIY jobs free of charge for older people. Jobs that our volunteers can do include fixing shelves, changing locks, painting/ decorating, moving furniture, gardening, etc. For bigger jobs we keep a list of local tradespersons whose contact details we can provide for professional quotations. Learn more about how Care and Repair works, how you or someone close to you can access the service and how you can get involved, either as a volunteer or as part of your community group.